Attend one of Phipps’ annual Used Bulb Sales for a chance to pick up used Phipps bulbs — including hyacinths, daffodils and lilies — for your own garden! The price is $5 for two 6-inch pots worth of bulbs from Spring Flower Show: Gardens of the Rainbow. 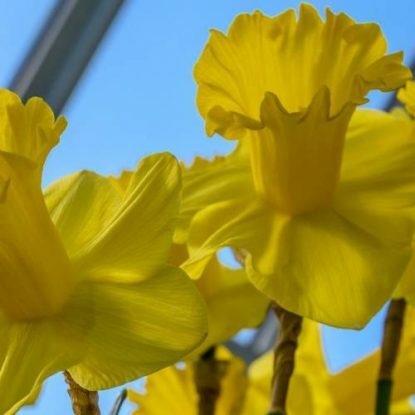 Bulbs are available on a first-come, first-served basis, so please arrive early for the best selection. Phipps orchids are also available while supplies last. Bags will be provided, but we encourage you to help conserve resources by bringing your own. This event is free to the public. Sales are scheduled to take place in our Outdoor Garden; if weather is inclement, they will be moved to the Production Greenhouses.